The students were challenged to reduce their plastic use by 75%, which they found difficult. “It’s hard when you’re on a student budget, getting anything not wrapped in plastic is so much more expensive,” Amy explained. Plastics guru Lucy Siegle gave them a helping hand, swapping their countless shower bottles for sustainable versions of shampoo, toothpaste and soap bars. She also gave them reusable items like coffee cups and cutlery and told them to change their shopping habits. But Amy said they found supermarkets a particular problem as “everything was wrapped in plastic”. “And going to the butcher’s was more expensive than getting pre-packaged stuff,” she added. At the start of the week, Ms Siegle weighed the plastic in the students’ home, which totalled 2.8lb (1.3kg) – a figure she described as “rather a lot”. With her advice, the students reduced it to 1.5lb. Ms Siegle said she thought the group had adopted the mindset shift really quickly, experiencing outrage over everything being plastic. She urged them to be more militant by unwrapping products at the supermarket checkout and leaving the plastic behind to make the point. “We need to take a stand,” she said. 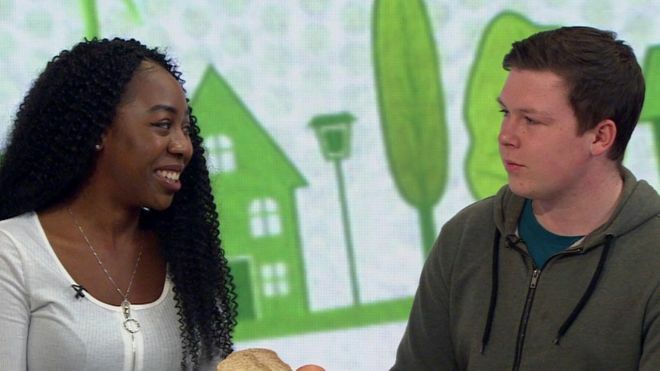 Marcus Rudd, one of the housemates, had hoped that his shopping habits – buying 10 to 15 T-shirts a year, combined with some designer pieces – were environmentally friendly. Then he learned that it took 3,000 litres of water on average to make only one T-shirt. The fashion industry – which makes 100 billion garments each year – is a major contributor to greenhouse gases, water pollution, air pollution and the overuse of water. It is exacerbated, MPs say, by so-called “fast fashion” – inexpensive clothing produced rapidly by mass-market retailers. Sustainable stylist Alice Wilby taught the students to reuse, repair and recycle, encouraging them to swap fast fashion for second-hand. She challenged Marcus and his housemate Goby Chan, who regularly buys clothes she does not wear, to make a new outfit from old clothes to model at London Fashion Week. “We buy so much stuff and half of it sits unworn in the back of the wardrobe,” Ms Wilby said. Quiz: Are your clothes damaging the environment? And Ms Wilby said they did well. “Considering Marcus had never set foot in a second-hand shop before – and thought they were smelly places with clothes you would never want to buy – by the end of the week he was finding pieces he really loved. That was a really great victory. The students took dramatic action to reduce their energy usage – and it worked. They used much less heating – switching it off at night; wearing jumpers, coats and blankets; and generally keeping the house a little bit cooler. It made a huge difference to their gas usage – cutting it by a whopping 48%. They also lowered their electricity usage by 15%. This added up to a 44% carbon saving – around a tonne of carbon in all. “It was a massive effort – it was freezing in our house,” said Marcus Golby. “[Before] we weren’t communicating when things were going on and going off, so you ended up with the heating on the majority of the time,” explained Amy. Dr Rosie Robison, an energy expert from Anglia Ruskin University, said it raised wider questions on whether the focus should be on individuals using less energy or the “wider responsibilities for landlords or homeowners, housebuilders and government for thinking about how our homes can require less fossil fuel in the first place”. A third of all food made for human consumption is wasted every year – costing the average UK family £700 each year, estimates suggest. The students were challenged to cut their food waste by 50% and move to the planetary health diet – a plant-based diet with small amounts of meat and fish. Dr Elliot Woolley, a senior lecturer in sustainable manufacturing at Loughborough University, encouraged them to store their food more carefully to stop it becoming spoiled, plan their meals and prepare the right amount of food for the people eating. He said that they found the challenge hard, but had reduced their food waste from 8.1lb to 6.8lb, which he described as “a fairly small reduction”. But he said it had changed his mindset and he would continue trying not to waste food in future. The Sustainable Students series was produced and directed by Owen Kean and Tom Yeates, with research by Curtis Gallant and Simon O’Leary. 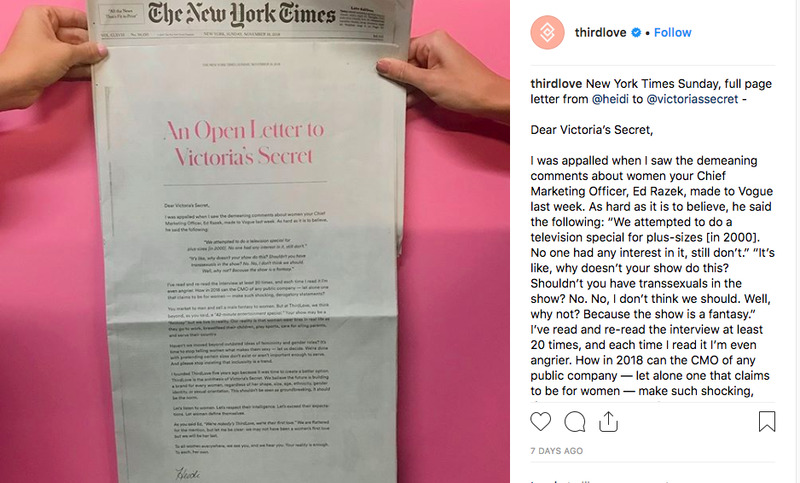 Victoria’s Secret has replaced CEO, Jan Singer, with John Mehas, days after the ThirdLove open letter in the Times in response to Victoria’s Secret CMO, Ed Razek’s, degrading remarks in his recent Vogue interview. Although the ThirdLove letter may have not been the sole reason for change in leadership, it has shed light on the company culture that needs to evolve to better communicate to the modern consumer. With Victoria’s Secret’s sales declining rapidly, the last thing the brand needed was an open letter in the Times criticizing their outdated views on women. Heidi Zak, CEO of ThirdLove, felt it was her mission to explain why the brand’s male-fantasy marketing tactics, un-inclusive sizing and discriminatory culture has prompted antithesis brands, such as ThirdLove, to grow in the marketplace. The letter was addressed to Victoria’s Secret on Ed Razek’s appalling commentary and approach towards marketing to women. “You market to men and sell a male fantasy to women. But at ThirdLove, we think beyond, as you said, a “42-minute entertainment special.” Your show may be a “fantasy” but we live in reality. Our reality is that women wear bras in real life as they go to work, breastfeed their children, play sports, care for ailing parents, and serve their country,” said Zak. Dutch design duo Atelier NL has been named Designer of the Year while fellow Dutch studio Envisions has won Emerging Designer of the Year at Dezeen Awards. 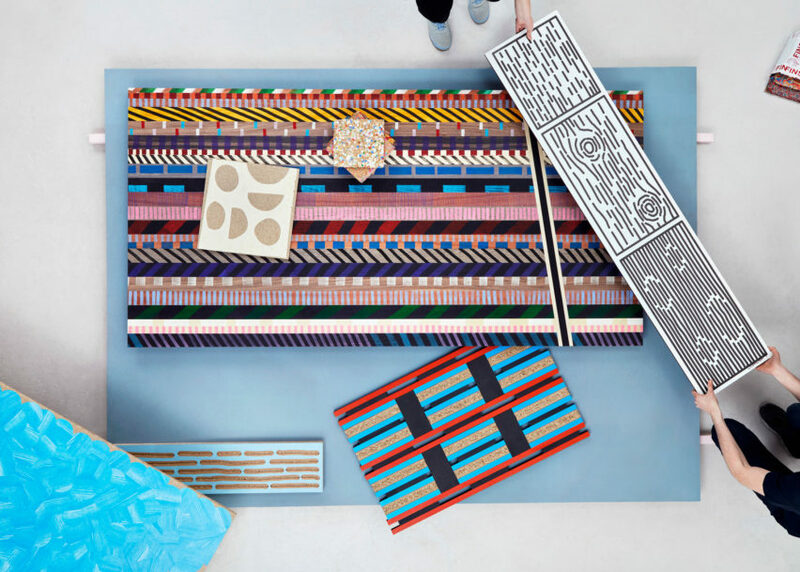 Atelier NL founders Nadine Sterk and Lonny van Ryswyck won the Designer of the Year prize, which is given for “all-round design excellence over a body of work by an designer or design studio that has been in business for more than 10 years”. 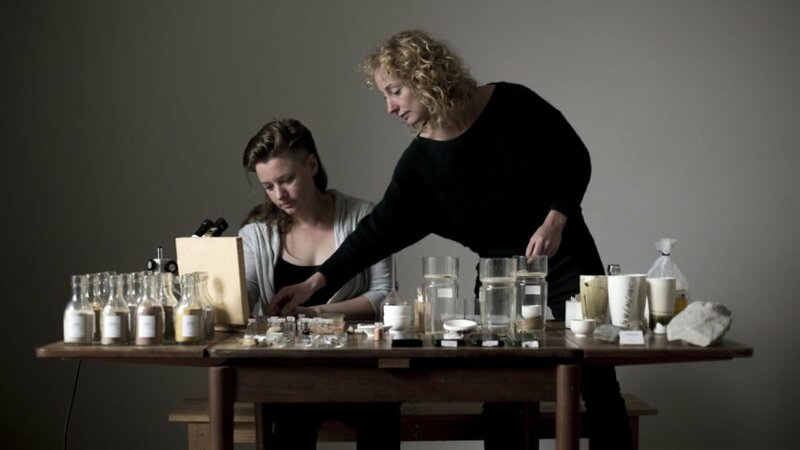 The Eindhoven-based pair have built up a body of work exploring the potential of locally sourced raw materials, including sand, soil and clay. 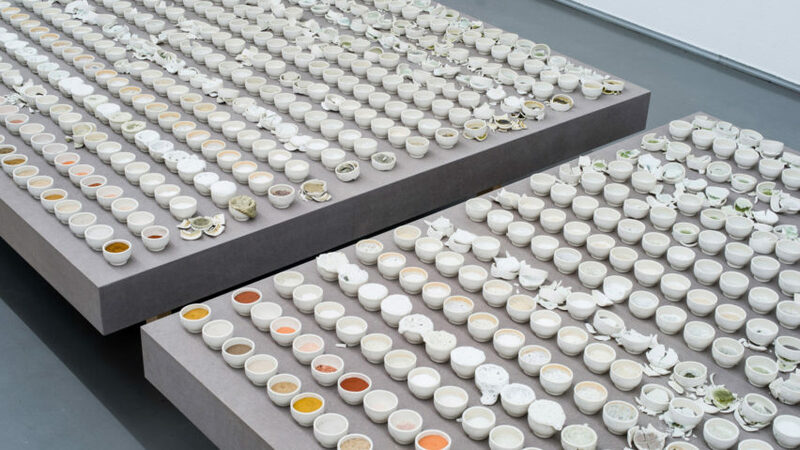 Their Clay Service project has produced a range of ceramics that showcase clay varieties from different locations around the Netherlands. 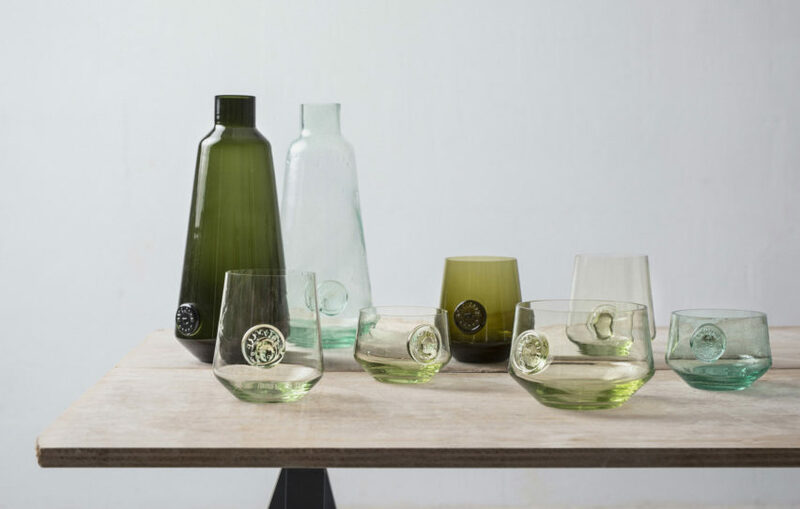 Meanwhile their recent project ZandGlass – for which they won the Homeware Design of the Year prize – saw them draw from their research into wild sand around the world to create a range of regionally specific glassware. “They tackle ideas such as sense of place and geographic specificity successfully, making the conversation about sustainable practices a richer one,” said the judges. The prize sees the pair presented with a Dezeen Awards trophy that they designed themselves. 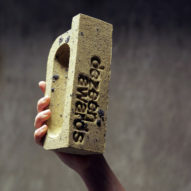 Made from London clay, they were produced by hand from craftspeople at brick manufacturer Wienerberger.